pastimeprojects(at)yahoo(dot)com for permission to copy or request copies of our materials. We are “Makers” “do it yourselfers” handy men, or what ever you call yourself! Let us hear from you! How can we help you? WE ARE SEEING DAILY ACTIVITY ON OUR WEB SITE OF POTENTIAL BUYERS WHO ARE LOCATED OUTSIDE THE UNITED STATES. WHILE WE DO NOT HAVE ACCESS TO ANY PERSONAL INFORMATION, THE COUNTRIES OF ORIGIN ARE LISTED. I WOULD LIKE TO ENCOURAGE YOU TO INQUIRE ABOUT YOUR INTERESTS IN OUR PRODUCTS. WE WILL HELP YOU THROUGH THE PURCHASING PROCEDURES. IF PURCHASING PASTIME PROJECTS ITEMS FROM YOUR ADDRESS OUTSIDE THE UNITED STATES SIMPLY EMAIL US AT pastimeprojects(at)yahoo(dot)com AND LET US GUIDE YOU THROUGH THE STEPS. ONE EASY WAY IS TO SIMPLY ENTER YOUR ORDER THROUGH THE PAYPAL BUTTONS. WHEN WE RECEIVE YOUR PAYMENT WE WILL CALCULATE THE ADDED POSTAGE AND SEND YOU AN INVOICE FOR THE ADDITIONAL PAYMENT. WE WILL COMMUNICATE THROUGH EMAILS THROUGH THE ENTIRE PROCESS. 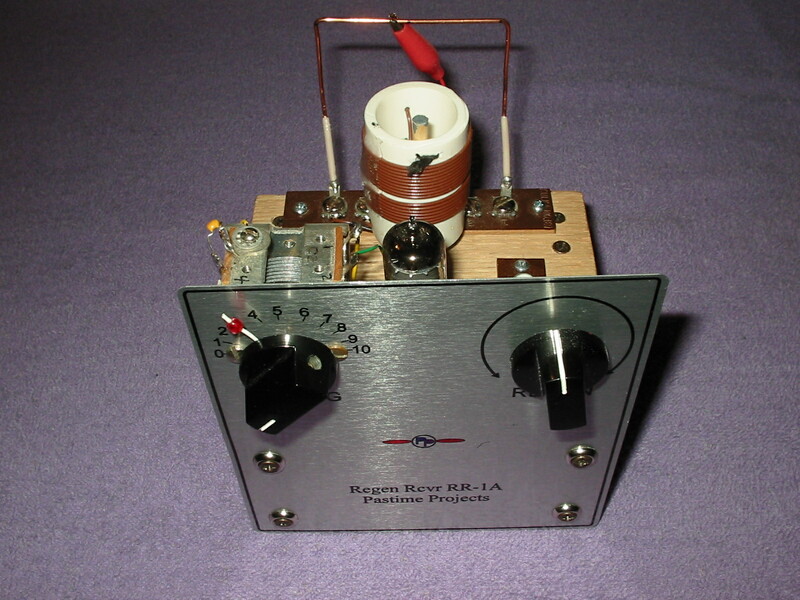 The regenerative receiver kit is returning to the http://www.pastimeprojects.com catalogue of radio enthusiasts kits. The design was redeveloped around the 40 meter ham band range. 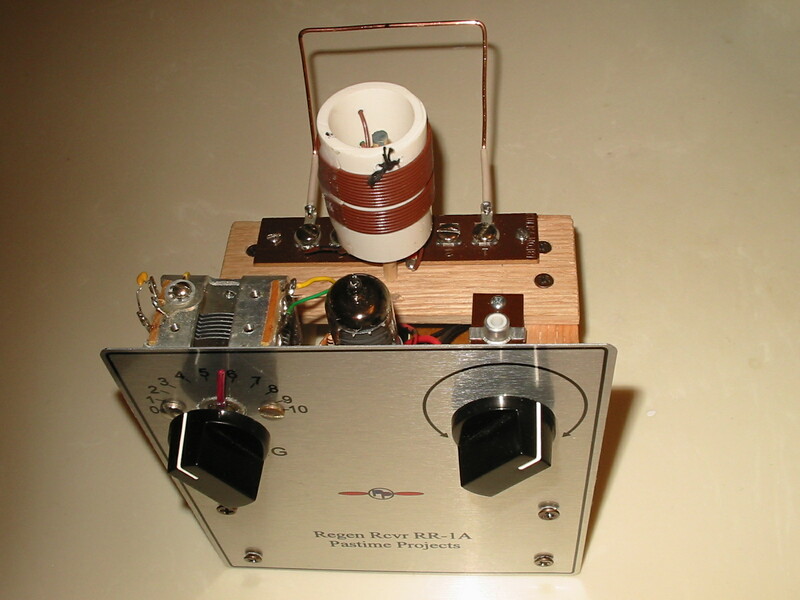 It receives AM foreign broadcast, cw, single side band with patience, and radio amateur AM stations. It is not recommended for use as a main receiver for radio amateur stations. Regen receivers tend to require careful tuning. They show more drift than commercial receivers. a “space charge” type tube that uses 12 volts on the plate as well as the filament. That means this receiver will be powered by your 12 volt DC power supply. The kit is somewhat difficult, but assembly, wiring,, and testing are explained in detail in the step by step manual that is included in the kit. Stay tuned for more! 73 Glenn for Pastime Projects (at) yahoo (dot) com. What is next at Pastime Projects? should revisit the pi-output design. 6 – 10 MHz model that is very promising. Needs to be simplified for easy duplication as a kit. Current model runs on 12 volts dc. No project completion date set. You are currently browsing the archives for the regenerative receiver kit category.